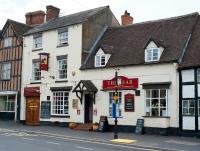 The Travellers Guide list of inns who provide comfortable bed & breakfast accommodation. Most of the inns listed below run their own restaurant and bar and offer a very friendly and welcoming environment. The Barbon Inn is located in Barbon, England, five miles from the Yorkshire Dales. The White Scar Caves are 10 miles away, Kendal is 12 miles away, and Lake Windermere in the Lake District is at a 26 mile distance. Oxenholme, home to the nearest train station, is situated 10 miles from the hotel. Hotel Features. The Bayswater Inn is located in a Georgian square in central London, England. It's just 400 metres from Hyde Park and Kensington Palace and Gardens, the former home of Princess Diana. Whiteleys shopping centre is 150 metres away, and Notting Hill's Portobello Road, with its famous Saturday market and antique shops, is within 500 metres. The Bear Inn in Bridgnorth has been transformed into a modern and comfortable inn, awarded 3 stars by Shropshire Tourism. The Bear Inn combines a bed & breakfast in Shropshire with a traditional pub which serves delicious food and a fine selection of ales. The Bear Inn offers 4 large, comfortable bedrooms, all with either en-suite bathrooms, free Wi-Fi, & plenty of car parking. The Brown Trout Golf & Country Inn is located in Aghadowey, in County Londonderry, Northern Ireland. The town centre is 3.5 miles away, the Giants Causeway is 14 miles away, and Londonderry is at a 37 mile distance. Hotel Features. Set on the River Bann, the modern Brown Trout Golf & Country Inn is located on the edge of a nine hole golf course and is housed in a white washed one storey property. The Comfort Inn Vauxhall hotel is located in London, England, two blocks from the River Thames and Lambeth Palace. The Tate Britain art gallery and the Oval Cricket Ground are half a mile from the hotel. The London Eye and Waterloo train station are one mile away. The closest Underground station is Vauxhall on the Victoria line. Hotel Features. The Crown Inn is a 16th century country hotel situated in the village of Blockley in the Cotswolds, 20 kilometres from the historic town of Stratford upon Avon. Coventry Airport is 20 kilometres from the hotel, with an approximate driving time of 20 minutes. Hotel Features. The bar features an open fire and offers a wide selection of real ales and bar snacks. The lounge and patio provide quiet spots to relax. In the vibrant South Bank district, Express by Holiday Inn Southwark is a short walk from 3 underground stations. There is good access to the O2 Arena. All of the comfortable, modern rooms have cosy beds and a flat-screen satellite TV. The George Hotel is an 18th century coaching inn, now a family-run hotel in the cobbled square of the Georgian market town Easingwold, York. Full of character with open fires and beams, The George Hotel enjoys an excellent reputation for good food in the restaurant and Courtyard Bar, together with fine wines and real ales. This modern hotel is in London Docklands, 200 metres from Canning Town Station, a 20-minute drive from the O2 Arena and a 10-minute drive from the ExCel Exhibition Centre. It has large air-conditioned rooms with power showers. Set in an impressive Edwardian building, Holiday Inn Farnborough features a modern leisure club and an international restaurant. With free on-site parking, Guildford is just 20 minutes away.